Tony Stark doesn't hide that he is Iron Man, so you shouldn't hide your love for Iron Man either! 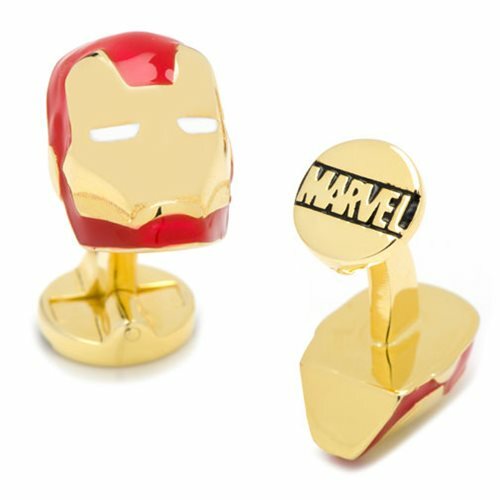 These Iron Man Helmet 3D Cufflinks are made of gold plated base metal with enamel and measure about 3/4-inch tall x 1/2-inch wide. These cufflinks are a must-have for fans of Marvel Comics Iron Man! Ages 13 and up.